Spiritual elevation or evolution is a simple matter of reawakening our original God consciousness. Srila Prabhupada beckons us to see the truth of this world and follow the higher road toward Krishna, God. It is up to us to elevate ourselves from the quagmire of illusion. 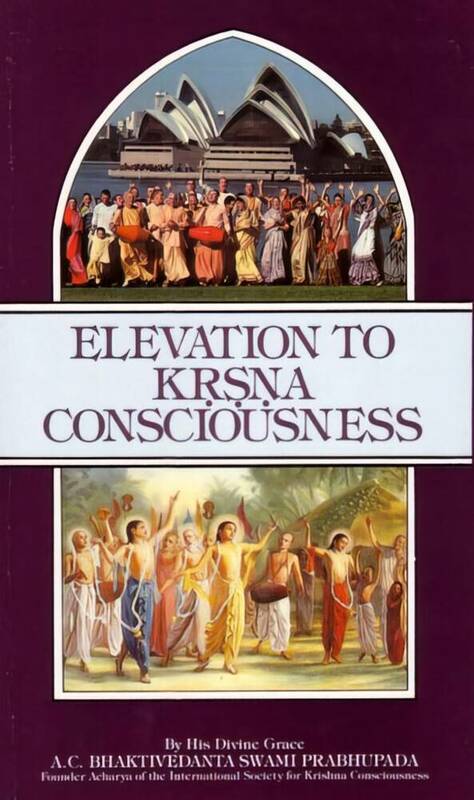 Elevation gives us the strength to start the process back to Krishna. Krishna consciousness is not an artificial imposition on the mind. This consciousness is the original actual energy of the living entity. In the material concept of life we are busy in the matter of sense gratification as if we were in the lower animal stage. Herein Srila Prabhupada discusses the step by step process of reviving our original position and happy condition.